This year, nearly 50 foreign-born athletes proudly represented the U.S. as part of the Olympic team in Rio de Janeiro, and eight of them won medals. Kerron Clement, born in Trinidad and Tobago, won Gold in the men’s 400 meter hurdles (Track and Field). Kyrie Irving, who won gold with the U.S. Men’s Basketball team, was born in Australia to U.S. citizen parents and has dual citizenship. 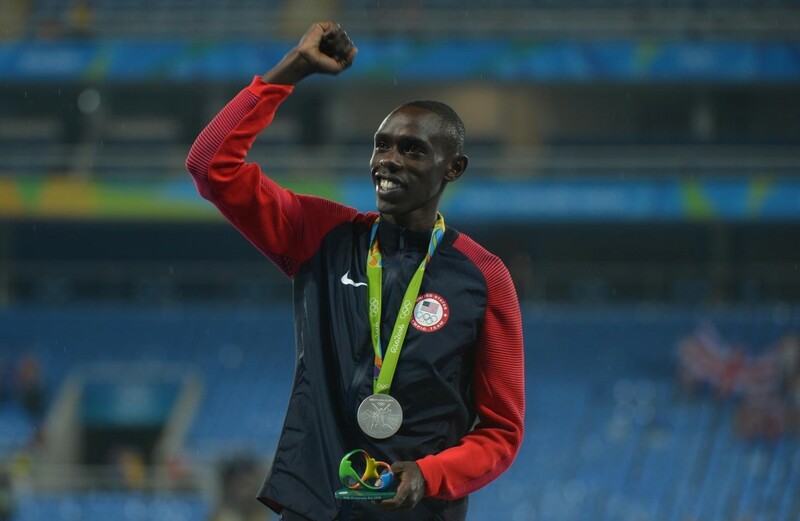 Paul Chelimo, originally of Kenya, won Silver in the men’s 5,000 meter race (Track and Field). Chelimo is one of four immigrant Olympians who enlisted in the Army, train with the military’s World Class Athlete Program (WCAP), and competed for the U.S. in track and field. Danell Leyva, who defected to the U.S. with his family from Cuba, won two individual Silver medals in Gymnastics. Steffen Peters, who was born in Germany and became a U.S. citizen in 1992 won a team bronze in Dressage (Equestrian). Phillip Dutton, who was born in Australia, won an individual bronze in Equestrian. Dagmara Wozniak, who was born in Poland and came to the U.S. with her parents as a child, was part of the Bronze medal winning Saber Fencing team. Foluke Akinradewo, born in Canada to Nigerian parents, won Bronze as a member of the Women’s Volleyball team. The diversity of this year’s team was evident, not only in the athletes but also their parents, coaches, and all others who helped the team succeed. Geno Auriemma, coach of the gold medal winning women’s basketball team, was born in Italy and came to the U.S. with his family when he was a child. Marta Karolyi, national team coordinator of the gold medal winning women’s gymnastics team was born in a part of Hungary that is now Romania. She and her husband defected to the U.S. in 1981. Of course, all Olympians are winners. Congratulations to the entire 2016 U.S. Olympic team! Photo Courtesy of U.S. Army.